This is a deal for 10 x Original 'Don Carlos' knives, Made in Germany – also known as a Quarter Moon Knife or a Spatula. 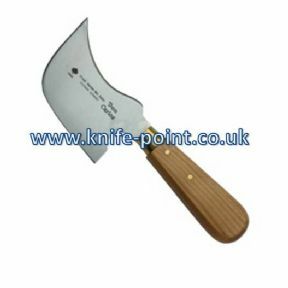 Wooden handled with a mirror polished carbon steel blade, bevelled to sharp on both sides. Hand honed for a perfectly burr free edge. Manufactured by the OEM in Germany, this is a tool for the discerning craftsman.